Sighted in the TC 270 today, about 1.2 inches high at 100m. Unfortunately I didn't get to shoot out to 200m as the wind was blowing really strong so I still yet don't have the info I need as to how well these rounds are grouping. Hornady 130 gr SST ammo. Just as I was about to squeeze off another round the unluckiest Hare in the world ran and stopped right behind my target, it was exactly 120m away. I aimed dead center on its shoulder and that's where the bullet entered. Good enough for now to hunt with. Hopefully later this week I will get the chance to shoot at 200m and really dial in the scope, I don't want to have to try a different brand of ammo as it starts to get expensive so I will be pissed off if this ammo doesn't group super tight. muzr257, Tahr, veitnamcam and 7 others like this. dansus, GWH, northdude and 5 others like this. good to see you utilised the meat saver shot on that hare.....taken more than a few for the pot with mighty .270 over the years myself. I've got a load of reloading equipment for 270 that's going to be surplus to requirements for me very soon. Lee Dies, Norma brass, ~90 140gr SST's and a handful of 130's. Any use to you? 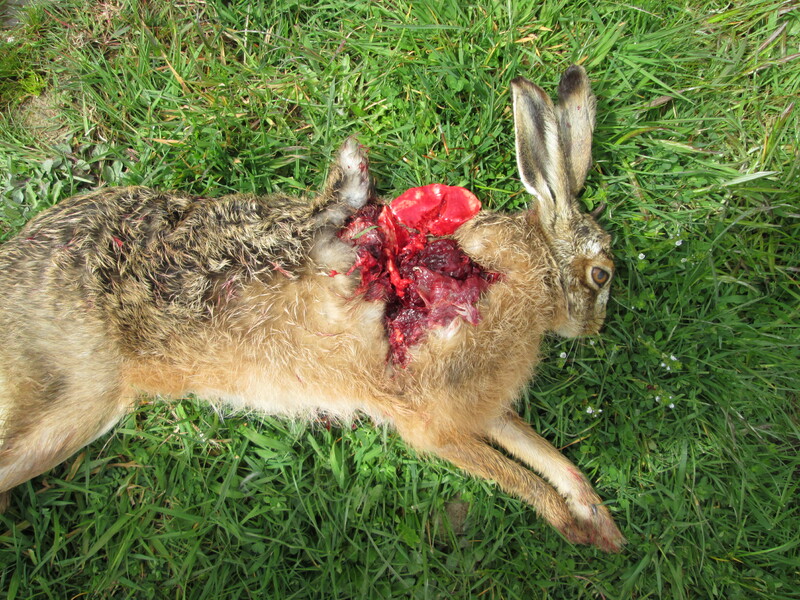 At least you know it's shooting "minute of Hare" Looking at that you should be pretty much on the money but it pays to check at longer distances. A good friend did the same thing years ago-sort of. 400+yrds with a 270 (again). I was there, saw it, so not him skiting with no witnesses. BUT it was a miss. The hare was sunning itself on a gravelly bank. The bullet struck a little low but there was just enough shrapnel from the stones and the bullet that it fecked the hare up. Sorry, that was really bad, have to leg it.